Bloomsbury USA Childrens, 9781599904894, 208pp. 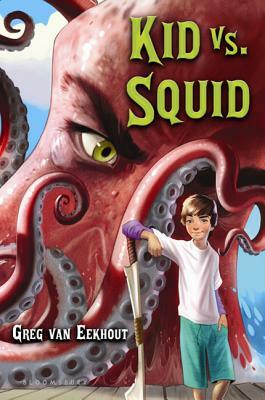 Greg van Eekhout is an American fantasy and science fiction writer born and raised in Los Angeles. Following his professional debut, a story in Starlight 3, he published a couple of dozen stories, appearing in most of the genre’s major science fiction magazines, several anthologies, and a number of Year’s Best compilations. His story “In the Late December” was a Nebula finalist, and his first novel, Norse Code, came out in 2009. For fun, Greg practices Northern Shaolin kung fu and indulges his love of little tacos.